During the continuation of what we’ve come to know as a “Golden Age” of television, with great original programming that can fill up every night of your week, networks are playing the hits again for easy ratings…and why not? Netflix started it all with a 4th season of Arrested Development in 2013, 7 years after the previous season. Then FOX brought Jack Bauer out of hiding for a 24 special event miniseries in 2014 with ‘Live Another Day’. It wasn’t bad. Jack yelled all out favorite lines like “Where’s the bomb? !” and “Dammit, Chloe!! !”, then ended with a cliffhanger that fans have waited way too long on…Just last week, FOX announced plans for a new season called 24: Legacy with an all-new cast and zero Jack…We’ll see how that goes. Since 24’s resurrection, FOX has worked on bringing back a number of old fan favorites (which we’ll get to shortly). NBC took note and tried a new season of Heroes, with old characters and new. Unfortunately it took 11 episodes for Heroes Reborn to get interesting again, and it has been cancelled before it could even walk. Much more successfully, Netflix’s “prequel reboot” series of Wet Hot American Summer was even better than the movie. Now several revivals, special events, and movies are on the horizon to fill that part of you that’s been missing since your favorite show went off the air. Here’s what’s coming soon and what’s in the works. The highly anticipated return of Mulder and Scully is almost here. Following a back-to-back night premiere, the show will return for 4 more weeks with a series of one-off monster mysteries and some kind of end game that ties it all together. The early reviews aren’t pretty, but you hope David Duchovny and Gillian Anderson can find that groove that made the show a phenomenon in the first place. You can see the first minute of the premiere here. This is actually happening. Over 20 years after Full House went off the air, the Tanners, Katsopolis’s and Uncle Joey are going to be back under the same roof again for a full binge-ready season. I personally don’t know how to feel about it. 90’s sitcom reunions on Late Night shows are one thing, but did you really miss Full House for multiple hours of Kimmy Gibbler? That’s what you’re going to get too, as creator Jeff Franklin has stated that the show “will center around DJ, Stephanie and Kimmy”. That means a lot less Danny, Joey and Uncle Jesse and no Michelle (Mary-Kate and Ashley Olsen). At least my last memory of Jodie Sweetin won’t be of her hosting “Pants-Off, Dance-Off” on Fuse while I was in college. Here are photos from the first season of Fuller House. Since the 24special event worked, why not bring back another show that helped the network dominate Monday nights in the mid-2000s? Prison Break has been ordered to series in 2016, with filming set to begin in March. Wentworth Miller and Dominic Purcell are signed on to reprise their roles as Michael Schofield and Lincoln Burrows, which is interesting considering how the series ended in 2009. Sarah Wayne Collins (Sara) and Robert Knepper (T-Bag) are rumored to return as well along with the original producers. Recently, Prison Break fans have been able to enjoy familiar faces as weekly villains on both The Flash and Arrow. I actually have every episode featuring Miller and Purcell as “The Rogues” saved on my DVR, and you can catch them featured on the new DC’s Legends of Tomorrow starting this week. The details around the Twin Peaks revival are as mysterious as the show that aired from 1990-91. What we do know is that Kyle MacLachlan is back as Agent Dale Cooper, David Lynch is writing and directing it, and Amanda Seyfried, Jennifer Jason Leigh, Naomi Watts and Laura Dern all MIGHT be involved. There are even rumors that Laura Palmer herself will be appearing, the murder victim that started the whole 28 episode series…Honestly, I’ve assumed MacLachlan has been possessed by BOB in real life for all these years, especially on How I Met Your Mother. 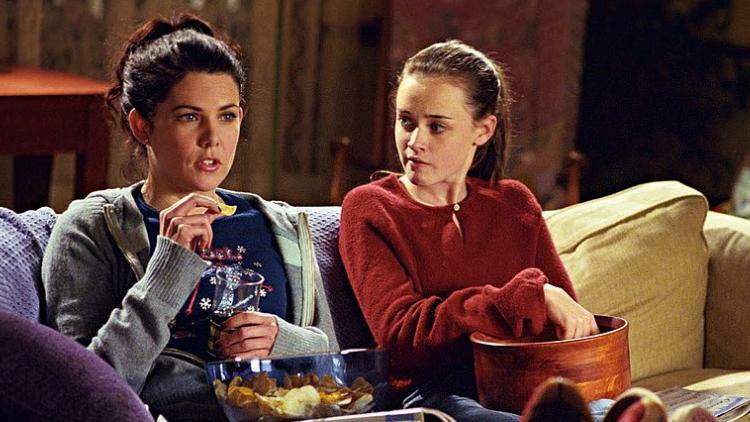 Netflix’s Chief Content Officer Ted Sarandos discussed Gilmore Girls with reporters over the weekend, saying “We’re still working on buttoning down everything before our announcements.” What we do know is that Amy Sherman-Palladino and executive producer Daniel Palladino will write and direct the entire revival. We also know that it will consist of four 90-minute episodes that represent different seasons of the show, all taking place 8 years after it ended. Stay posted for more details when they finally come around. FINALLY! 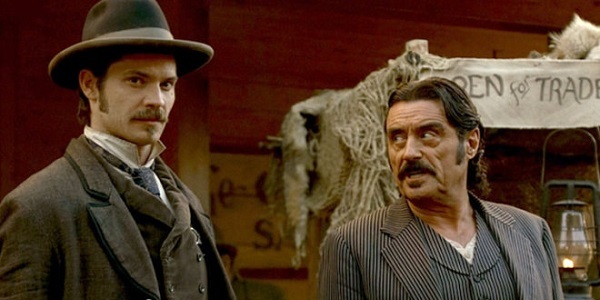 Deadwood fans are finally getting the ending they’ve been waiting almost a decade for. HBO president Michael Lombardo recently confirmed at a Television Critics Association press tour party that “it’s going to happen.” Creator David Milch pitched an idea for a movie that will reunite the cast and give some closure to the 3-season series that literally ended with none whatsoever. Timothy Olyphant doesn’t have too much going on, now that Justified is over. Ian McShane will be appearing in the upcoming season of Game of Thrones. Then there’s Anna Gunn, Powers Booth, Paula Malcomlson, John Hawkes, and the rest of the cast to account for…whom you’ve seen in probably EVERY TV show since Deadwood went off the air in 2006. What other TV shows would you like to see revived? Let me know on Facebook or Twitter!